Much like other electronics, home security systems have changed drastically over the past few years. These systems help to protect your family and home from certain emergencies such as fire, carbon monoxide poisoning and burglary. The way that they operate and how they alert you and authorities of a potential danger have changed significantly with new technology. 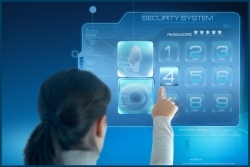 One way that home security has changed is with the introduction of cellular system monitoring. Many electronics have made the switch to wireless or mobile technology which offers a number of benefits. Burglars can easily cut a telephone wire outside your home, which would grant them access without the risk of a home alarm system being triggered if that system used wires for operation. With the introduction of wireless monitoring, there is no way for a burglar to disable the alarm which helps to fully protect your home from intrusion. You can also access your home security system by simply clicking an application on your smartphone or a computer at another location and use that application to turn lights and heating/cooling systems on and off or to lock and unlock your doors from a remote location. You have the choice of installing a wired or wireless system in your home. Most home security companies offer the either/or option so you can choose which type of system best fits your needs. Check out Home Security Systems to learn more. While there are still benefits of using a wired system, many homeowners prefer the wireless option and for a number of reasons. Wireless systems do not require holes to be drilled into your walls for installation which is a great option if you ever choose to move. You can simply take the system down and install it in your new home without worries of covering those holes or drilling new ones for a new installation. Another change in security systems is the option to install the system yourself. DIY systems allow you to install all of your home security yourself without having to wait for a professional installer. It takes very little time to get the system in place and set it up and this makes it easier to take the system with you if you do decide to move. Many landlords have DIY systems in their rental properties to provide their renters with a bit of security. There are of course, advantages to having your system professionally installed and many of the major companies charge very little for installation. If you are not familiar with how the installation works or you feel that a professional would be a better option, you can certainly choose to have someone else install the system for you and for just a minimal charge in most cases. Improvements to home security systems have helped many homeowners to feel a bit more secure in their homes. Whether you are guarding against fire, burglary or any number of other issues, knowing that you have a system in place will give you much peace of mind. The changes that these systems have incurred over the years have made them easier to use and much more effective at protecting your home and your family from emergencies. Author’s Bio: To find out more about home security systems available to the residents of San Diego check out Home Security Systems.